Nollywood actress, Georgina Ibeh, has said she decided to lose weight to boost her career. Earlier in the week, Ibeh shared the story of how she was able to lose weight within two years without going under the surgeon’s knife. Ever since her testimony went viral, she had been accused of doing plastic surgery to get a perfect figure. However, in an interview with Saturday Beats, she stressed that she lost weight by controlling her diet and doing exercises. She further stated that the major motivation behind her weight loss journey was because she wanted to increase her chances of getting better roles in movies. She said, “Losing weight was a personal decision I took after I discovered I was getting the same roles in films and wanted something different. It was like a standstill in my career as I used to get cast for roles of an aunt or an elder sister. I wasn’t given the type of roles my peers were getting. “The event that broke the camel’s back was when I was given a role to act as Patience Ozokwor’s friend; I told myself I had to lose weight. 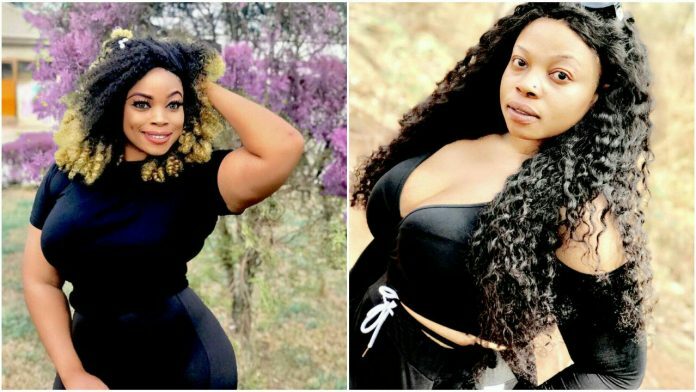 “I registered at a gym in Asaba, Delta State, and that was how I started my weight loss journey. I maintained an all-protein diet with fewer carbohydrates. I weighed 98.9kg and later reduced to 75.6kg. Speaking further, the actress said that when she posted on Instagram the progress recorded on her journey to becoming more fit, she expected some criticism from the public. She added, “When I posted my before and after picture, I was open to negative and positive comments. “Most people mistook my old picture for my mother’s. When my parents saw me after I lost weight, my mum was in tears and it was an awesome feeling for me. I was so happy and proud of myself. Ibeh also talked about the sexual harassment in Nollywood, noting that women get harassed in all spheres of life and it is not only limited to the movie industry in Nigeria. She stated, “Women get harassed in all spheres of life but I feel what matters most is the way you present yourself. “A person’s mindset is very important. I told myself I had to act, it might take long but destiny cannot be denied.